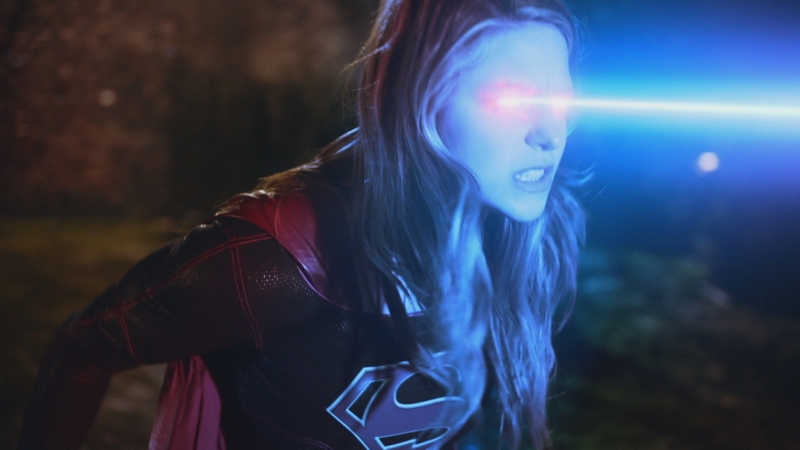 Can Reign Kill The Girl of Steel?! 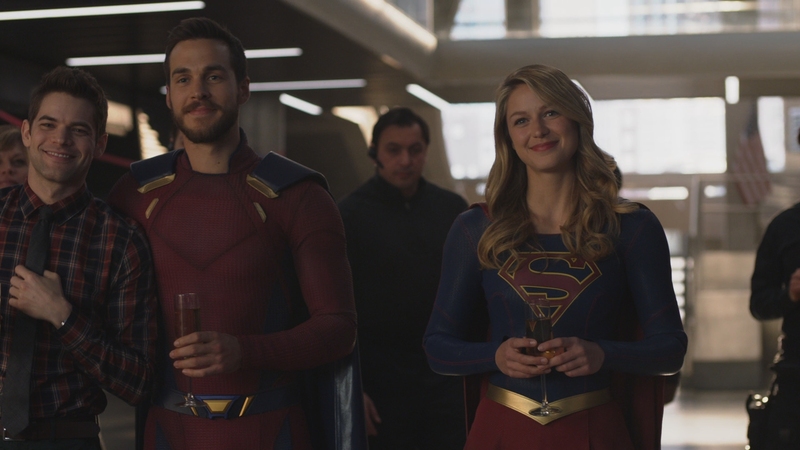 Call it superhero fatigue, or just a bad taste leftover from Supergirl’s polarizing second season, but something about season three on the CW generally misses the mark. Star Melissa Benoist continues to carry the mantle of Supergirl with plucky courage and heroic vigor. She’s the one continuing reason why this CW show has a legion of fans. The big addition of season three is the villain Reign, a female Doomsday from Krypton engineered to take Supergirl down for good. Played by newcomer Odette Annable (House) to the cast, Reign is a powerful Worldkiller that poses a major threat to National City. The difference with Doomsday being that Odette remains recognizably human in form and can actually talk, unlike the monstrous Doomsday that killed Superman. 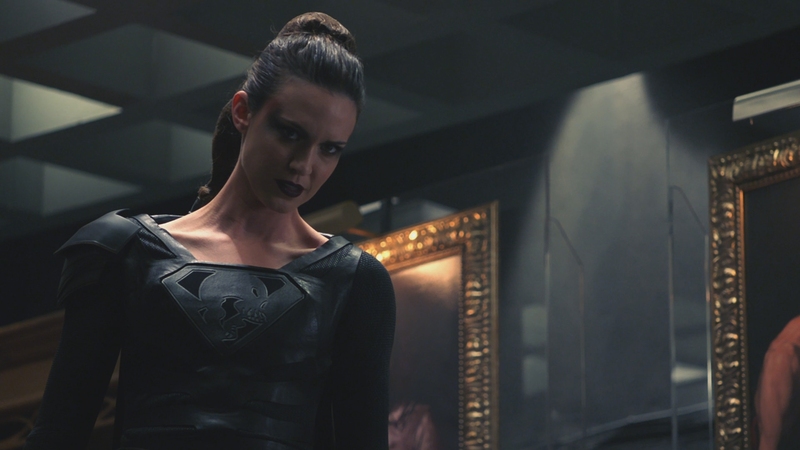 Reign’s all-black leather costume is a tad ridiculous, even by the standards of superhero entertainment. On an interesting side note, Doomsday himself is never actually referenced despite the similar origin story. The producers have not been shy about ripping off Superman’s better stories and villains in re-purposing them for Supergirl’s adventures. If you are wondering, Superman does not appear in season three. That synopsis sounds fine in theory, but the execution leaves something to be desired over 23 episodes. The length of the season is one issue. 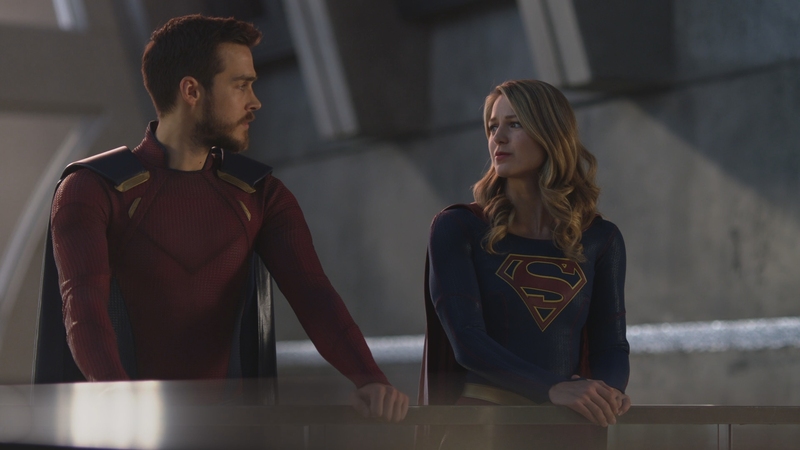 Executive producer Greg Berlanti has been pumping out twenty plus episodes for his stable of DC superhero shows each year, but there is a tremendous amount of filler in Supergirl’s third season. This is coming from someone that up until now has consumed the Arrowverse’s longer seasons without complaint. The filler may well be explained by Supergirl news that happened off the screen. Season three took an extended break when producer Andrew Kreisberg, one of the show’s guiding lights since its inception, was fired for sexual harassment and other misconduct. The scandal rocked the Arrowverse, but none moreso than Supergirl itself, since the show has always been branded as a female-driven series promoting strong women and female empowerment. It was a great shock to Supergirl’s fans. For the fans put off by some of last season’s themes, it’s clear the producers this time took a far more straightforward and back-to-basics approach, avoiding most hot-button issues. In an attempt to win some fans back, Mon-El is brought back in a surprising manner with a few new friends. Last we had seen him, he was shot off into space and presumed gone for good. He returns with the Legion of Super-Heroes, including Brainiac 5. Mon-El’s return as a full-fledged superhero in his traditional costume saves the season from a few boring arcs. 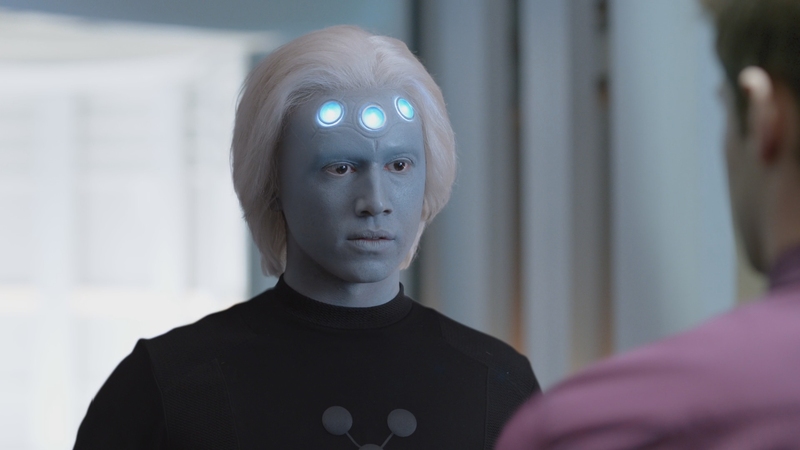 The Legion’s appearance in season three is a real bright spot for an otherwise uneven season. No, it’s not a perfect translation of the Legion to television, so long-time comic book readers may be slightly disappointed. If you are looking for the entire Legion to show up, that is not in the cards. But Brainiac 5 has some of the season’s funniest moments. His clumsy and awkward interactions with Winn are great. Generally, Supergirl’s third season is at its best when casually dealing with normal human drama, instead of the grinding superhero battles that seemingly take a step back in quality this season. Another permanent addition to the cast includes actress Katie McGrath’s Lena Luthor. When first introduced, Lena was a friendly ally to Supergirl. Things quickly turn cold between the two former allies, leading to repercussions. While it could have been easy to turn Lena into a Lex clone, her multifaceted characterization is a bonus. Lena even gets some romantic development courtesy of James. It wouldn’t be Supergirl without the annual stunt casting. This time around actress Erica Durance, Lois Lane on Smallville, is brought on the show as Kara’s mother. It’s a nice nod to Smallville fans that doesn’t feel like anything more than a stunt for sweeps. If you made it through season two of Supergirl, give the first few episodes of season three a try. Every fan should at least stick around for the humongous and excellent Crisis On Earth-X crossover, involving a version of Kara raised on an Earth ruled by Nazis. The action doesn’t really ramp up until Reign’s mayhem starts threatening Supergirl’s friends and family. However, the positive storytelling changes from season two are evident fairly early in the season. Warner presents Supergirl’s complete third season on Blu-ray in fine form. All 23 episodes of Supergirl’s third season, plus the three Crisis On Earth-X crossover episodes, are spread evenly over four BD-50s. Encoded in AVC, most episodes average less than 13 Mbps. If you are looking for perfectly transparent compression, look elsewhere. Supergirl has bright, visually clean aesthetics shot in pristine HD video. But video bitrates that consistently low introduce minor compression artifacts, especially in the more complex scenes dominated by CGI and greenscreen work. 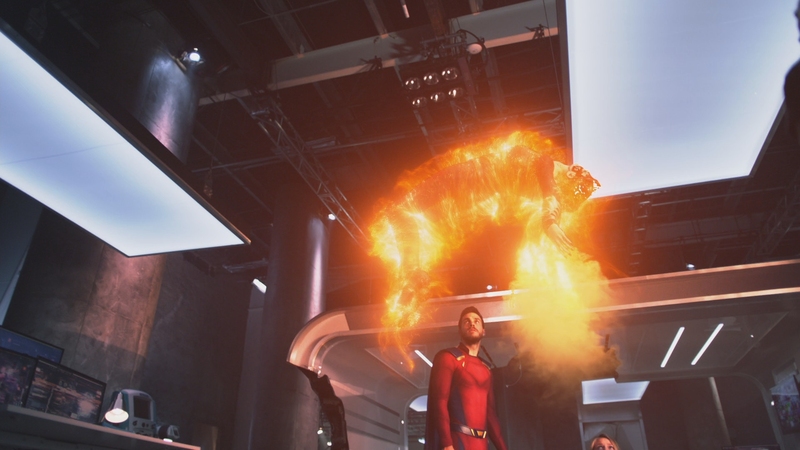 The 1080P video is presented at Supergirl’s native 1.78:1 aspect ratio, duplicating the show’s intended CW broadcast. Having watched much of the season in HD on the CW as well as this Blu-ray set, there is no real comparison. This Blu-ray transfer is much closer to the show’s original digital masters and retains far better levels of detail and definition. Close-ups on BD are much sharper and better delineated. 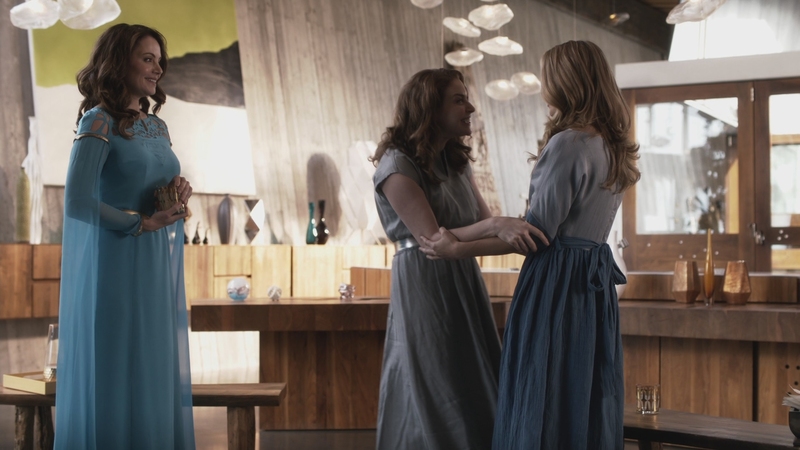 Supergirl’s picture quality normally dips a bit outside the show’s comfort zone, the lavish studio sets which include the DEO’s headquarters and CATCO’s offices. Black levels in darker shots occasionally reduce shadow depth. The special effect shots introduce some blurring and appear softer. That is expected given their CGI elements and digital trickery to make you believe Supergirl flies through the air and can lift cars above her head. 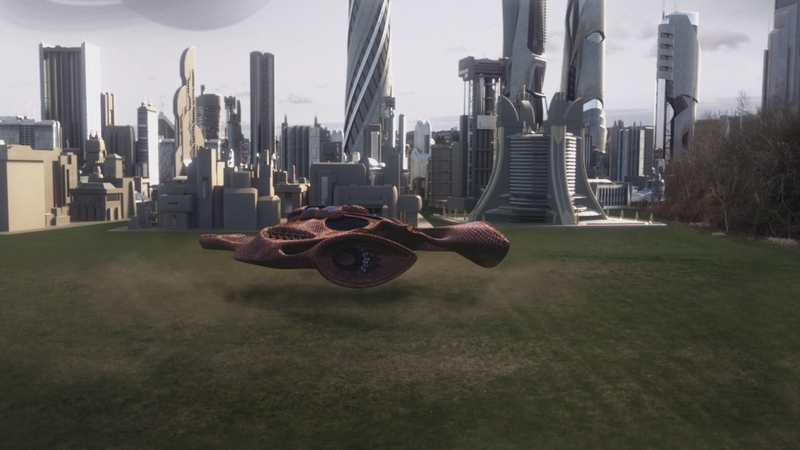 This season introduced more exotic locales than ever before, including the Legion’s spaceship and Kara’s home city of Argo. 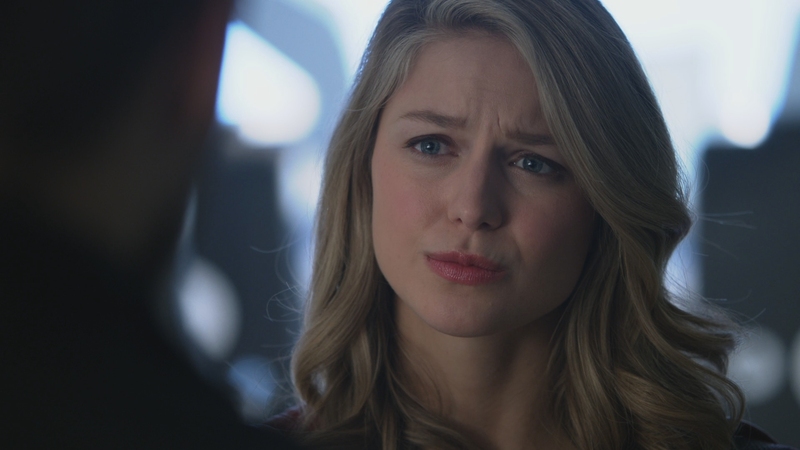 There aren’t any substantial issues with Supergirl’s third season on Blu-ray. Fans should know what to expect by now with the show on Blu-ray. This set has solid Hi-def video quality which is better looking than the original HD broadcast or through streaming venues. Composer Blake Neely continues to provide an appropriately heroic score to Supergirl’s ongoing adventures. There has always been a lightness to Supergirl’s orchestral score that underscores the show’s generally upbeat and positive tone. Once again, the included 5.1 DTS-HD MA soundtrack makes excellent usage of the surround channels. Supergirl and others fly through the entire soundstage, both in battle and lighter moments. Dialogue is well prioritized towards the front soundstage, with clean fidelity and fine dynamic range. This is still audio design done at the mercy of a television budget, but Supergirl provides a reasonably exciting surround mix with discrete channel separation and decent bass impact. Warner provides at least nine different subtitle options for Supergirl’s third season, including English SDH and both forms of Spanish. Foreign-language subtitles include French, Portuguese, Spanish, Danish, Dutch, Finnish, Norwegian, and Swedish. A Spanish dub in 2.0 Dolby Digital is included. 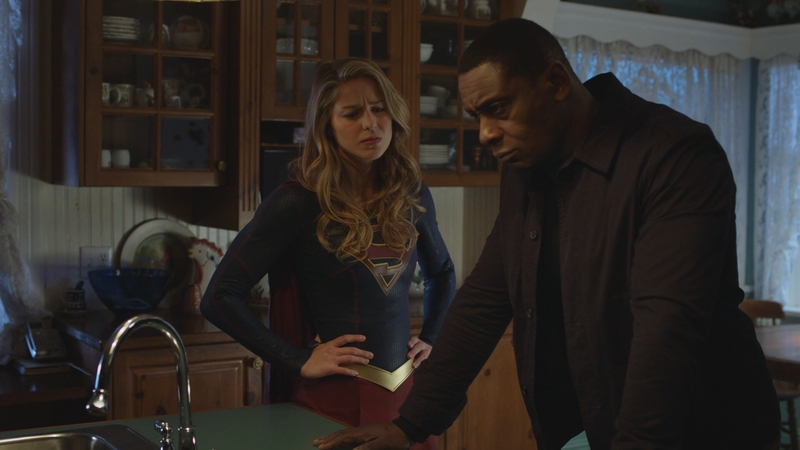 Supergirl: The Complete Third Season largely falls along similar lines with 2018’s other DC shows on Blu-ray. The four-disc set comes in the usual slipcase in a fairly slim plastic BD case. A one-page episode guide is included for reference. The included UltraViolet digital copy nets you all 23 episodes of season three in HDX quality on VUDU, one of the very last UV providers. The best bonus is the inclusion of all four crossover episodes comprising the huge “Crisis On Earth-X” crossover. 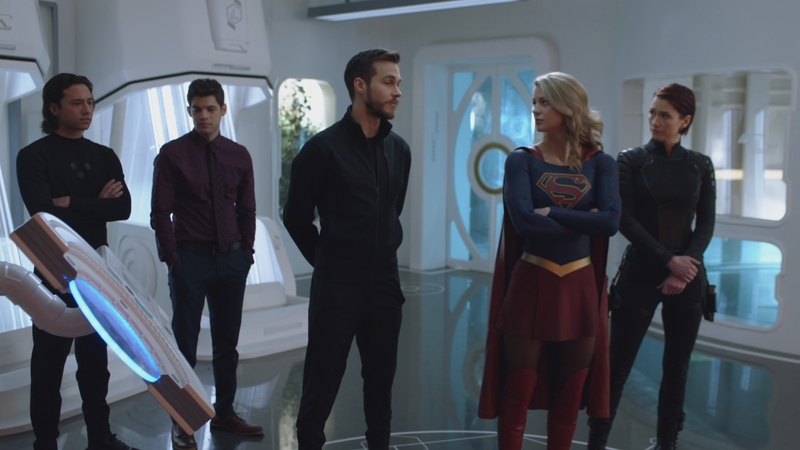 Kara plays a pivotal role in the fun crossover and it was very considerate of Warner to include the episodes from Arrow, Legends of Tomorrow and The Flash. That allows Supergirl’s fans from skipping those other shows if they don’t feel like keeping up with them. Gag Reel (07:23 in HD) – An assortment of flubs by the cast. She Will Reign! Featurette (08:23 in HD) – A featurette that covers the addition of Odette Annable’s character to the cast for season three. Working mom Samantha becomes the Worldkiller Reign over the season, posing a deadly threat to Supergirl. The character is a Doomsday analogue for the purposes of this show. Inside The Crossover: Crisis On Earth-X (41:59 in HD) – An elaborate, extended featurette offering producers from all the CW shows included in the epic event. 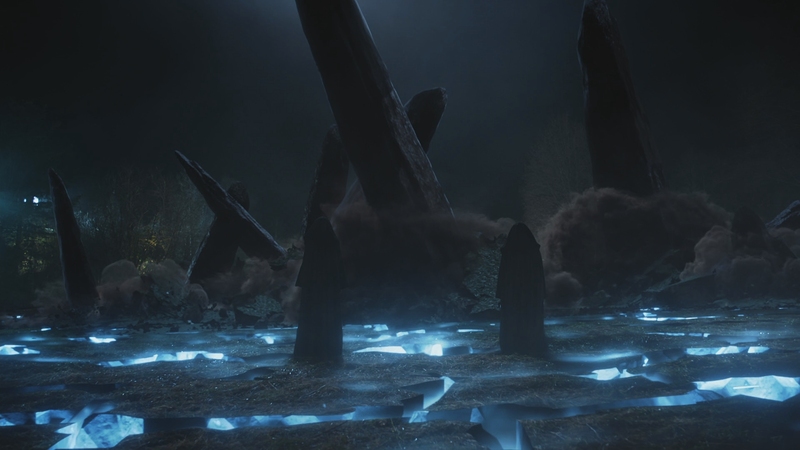 The crew members discuss the difficulties of bringing a sweeping crossover to the small screen and the planning that went into it. The Best Of DC TV’s Comic-Con Panels: San Diego 2017 (58:27 in HD) – If this looks familiar, it’s the same consortium of panel discussions found on the most recent Arrow and Flash releases. Actors Chris Wood and Odette Annable both make an appearance at the loose Supergirl panel that opens this featurette. Every DC show that hit Blu-ray this year with the exception of Black Lightning is included. Deleted Scenes (All in HD) – By my count, sixteen episodes from season three include deleted material separately playable from the episodes themselves. This is the most deleted material I’ve seen from a DC show on Blu-ray. The season finale by itself has ten minutes of previously unseen deleted scenes and scene extensions. The one complaint is that the scenes don’t play as well when stuck by themselves. It’s a shame they couldn’t be inserted back into the episodes, as most of them were cut for time. A menacing new villain and the Legion of Super-Heroes can’t completely save Supergirl’s uneven third season. The 15 unaltered images below have been taken directly from the actual Blu-ray. 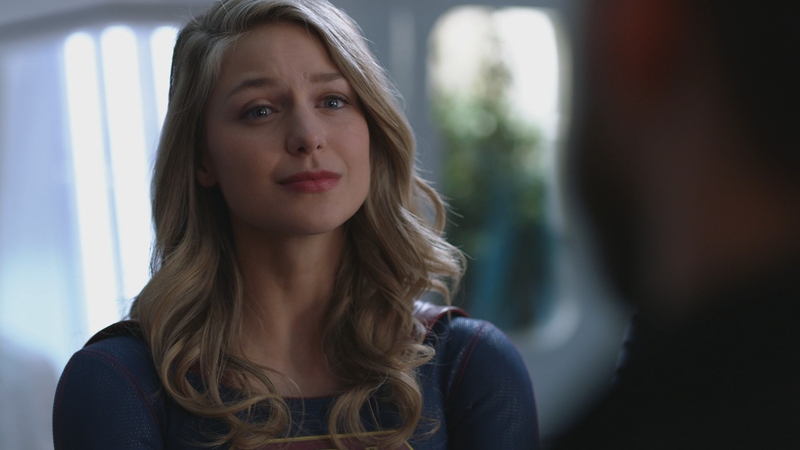 For an additional 16 Supergirl: Season Three screenshots, early access to all screens (plus the 15,000+ already in our library) in full resolution, dozens of exclusive 4K UHD reviews, and more, support us on Patreon.